Natrunsfar: Building A Base, 30 miles + A GIVEAWAY! Building A Base, 30 miles + A GIVEAWAY! It's been nearly two months since I started running consistently with zero pain in my foot. Slowly but surely I am gaining strength and developing a running rhythm again, but I have days where I feel tentative. Thoughts turn to my healed foot and my heart starts to race a bit, hoping that the awful, persistent pain (plantar fasciitis) is gone forever, never to return. It bugs me a bit not to run with self assurance, to think about the next day or the next if my foot will be angry with me from a longer run or a little bit of speed. I've had some light speed workouts from my coach these last few weeks and thankfully they have been successful. I don't have any races on my schedule for the fall so far and right now I just can't wrap my head around racing. My thoughts turn to Boston in six months and considering where I am starting from, it doesn't seem that far away. My goal is pretty simple - to PR in a big way. Not big in the sense of outlandish or unrealistic, just race the way I know I am capable of racing. The marathon is such a crazy beast, because anything can happen on race day, but you have to be prepared to tackle it. Period. 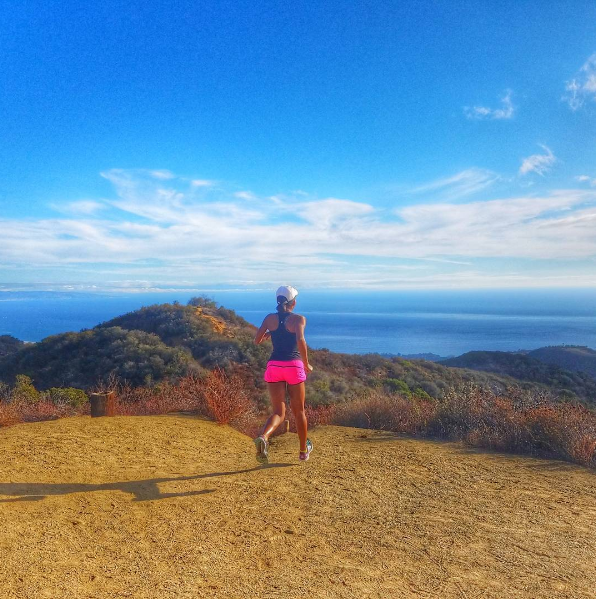 With that said, I do love the journey - logging lots of beautiful miles and feeling your body get stronger and stronger. It never gets old. I feel successful these days just getting in my run. I perform a dynamic warm up every day, core, physical therapy exercises (including specific exercises for my foot) and light yoga, but I know I need more. The trick for me is to carve away a little bit more time for cross training (lately on my days off, I have just been resting!) and really hit the weights with a new resolve - get stronger. My weekly running total for last week was 30 miles! I was surprised when I added up the mileage and I feel happy with that milestone. Wednesday October 12th - 2 mile warm up, 10 x 1 minute faster (1 minute jog), 1 mile cool down (5 miles total). Jerold paced me on this, and it was super helpful to have him running beside me. Now, it's time to talk about the GIVEAWAY I have going on! 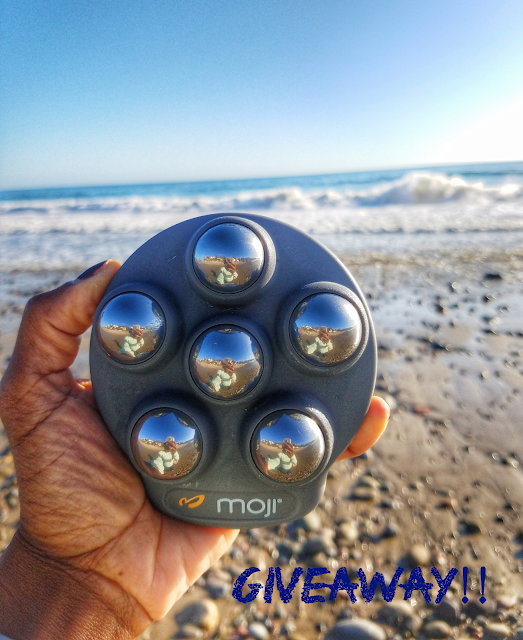 I am giving away a Moji Foot Pro (one of our gifts from Rise.Run.Retreat) to one lucky reader! It feels awesome on your feet as an instant massage - pop it in the freezer as another option! I hope you guys have a great end of the week and a fantastic weekend. 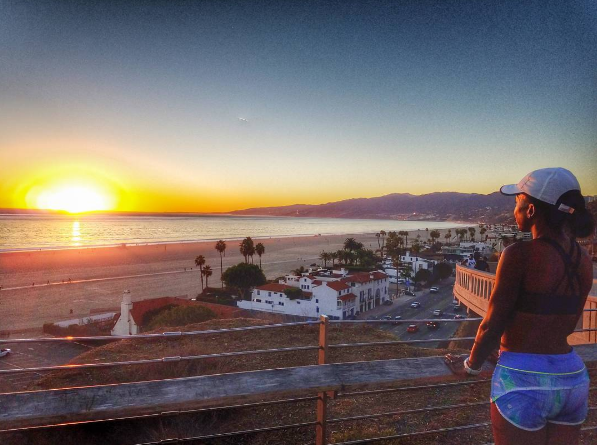 After a big break, how long does it take you to get back into running shape? Anyone have fun plans for the weekend?